Hi, Today i’ll explain how to create a Menu Page by using the default resources available with android. This is the easiest way to create a menu. You can use the ListView widget to create the menu list. 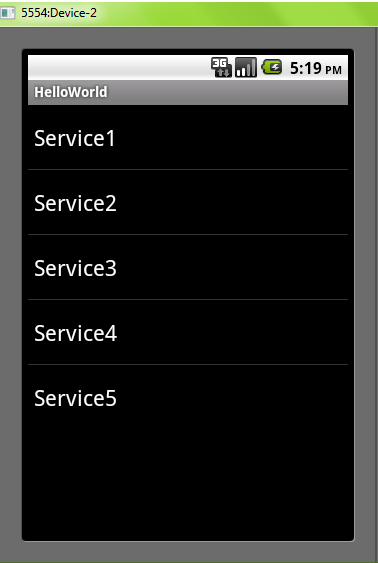 Goto res-> layout-> Right click on the layout folder and add a new Android XML file. Now select the “Graphical Layout” view and drag and drop the ListView widget available under “Composite”. 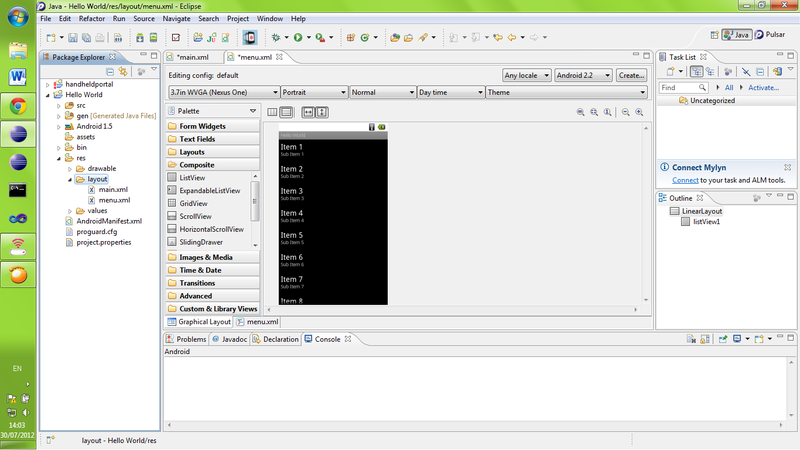 The menu.xml file is generated as follows. Create a String array including the list of items of the menu. Use the simple_list_item_1 when creating the ArrayAdapter. ** Change the id of the ListView at the XML file as android:id=”@android:id/list”. Otherwise you’ll get a RuntimeException.